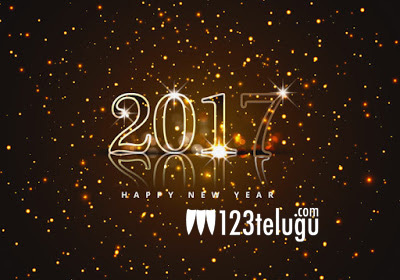 123telugu wishes you a very happy and prosperous New Year. We hope that 2017 will bring you great amounts of joy, happiness, and success in all your endeavors. 2016 was a year of success for the Telugu Film Industry. In terms of performances, critical acclaim and box office collections, 2016 ranks as one year which saw so many changes as to how films are made in Telugu. 2016 was a good year for us as well. Your support and encouragement have made 123telugu one of the top and most trusted resource for Telugu Film News, Reviews, Polls and Photos on the web. We will continue to work hard and provide you with the most enjoyable readership experience ever.